Fabric and print design is elegant, yet functional. Colors are exactly as shown and these pillows are definitely quality all the way around. 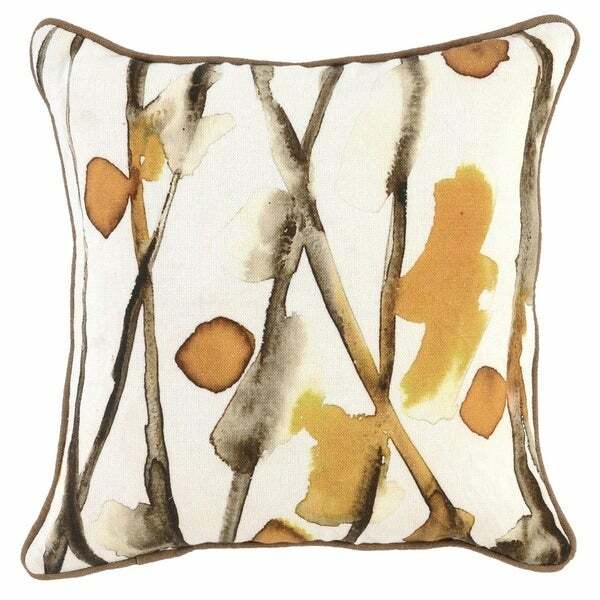 Rizzy Home Color block Natural/Camel Decorative Poly Filled Pillow - 20"x20"
The Goldenrod Pillow exudes transitional vibes with its sun-kissed hues and abstract water color pattern. Designed in Los Angeles and hand-crafted by skilled artisans in India, this pillow depicts the eclectic flair of Asian cultures. Give into the inviting appeal of the pillow's plush down-filled comfort and versatile style. Great addition to a guest bedroom! !